Xi'an, China, February 17, 2019 -- Ganoderma Lucidum is also called reishi, and this herb is very commonly used in the traditional Chinese medicine. The herb can prove helpful in preventing the occurrence of several types of diseases and could also be the key to a man’s long and healthy life. MIGU supplies the extracts of Ganoderma Lucidum in the oil, powder and soft gel forms for humans to consume it and witness many types of health benefits. According to the spokesperson of the company, they can now supply the Ganoderma Lucidum Spore Oil Softgel that is easy to store and consume. Extracted from 100% pure organic reishi spore, it can be available in 300mg and 500mg capsules. One can take these Ganoderma Lucidum capsules as a dietary supplement every day and can witness positive changes in their health. The herbal extract is also helpful in maintaining the body immune system and also very effective in the cellular maintenance of the human body. The softgel capsule of Ganoderma Lucidum can prove helpful for the endocrine, neural and respiratory systems. Besides, it can alleviate liver disorders and can also slow down the aging process. The spokesperson reveals that they can also supply the ganoderma lucidum spore oil, besides the softgel capsules. They employ the CO2 super-critical extraction technology in extracting the oil from the spores of the herb. This spore oil has many benefits for the human health with the triterpenoid components it contains. The oil comes with a significant nutritive value and is potent enough to boost the human immunity. The oil extracted from the Ganoderma mushrooms act as an anti-cancer agent and can be effective in reducing hypertension. With superb antiviral and antibacterial properties, the spore oil supports our immune system. It can also support healthy blood sugar level in the human body and can protect the liver. The herbal extract oil also exhibits strong anti-inflammatory and analgesic properties. 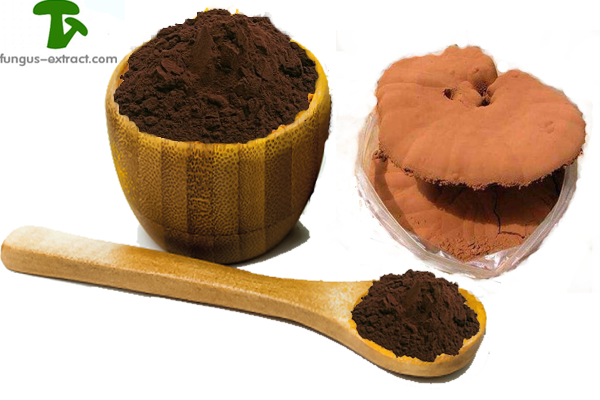 MIGU can also supply the ganoderma lucidum spore powder, which is 100% shell-broken spore powder. This powder is being used for boosting immunity and longevity in China, Japan and other Asian countries since the ages. With its unique nutritional value, this mushroom powder could be the right choice of several types of pharmaceutical compositions. The powder is very effective in controlling the blood glucose level and could be very helpful for people diagnosed with type 2 diabetes. Besides, treating several kinds of common ailments, the spore powder could also be useful in the prevention of cancer. It improves the liver detoxification and can also regulate hormonal imbalances in women. One can learn more about the Ganoderma Lucidum mushroom and its health benefits by visiting the website http://www.fungus-extract.com. MIGU is professional fungus extract powder factory certified by cGMP, ISO, HACCP, Kosher, Halal, Organic since 2002. The company is dedicated to the identification, development and production of fungus extract and other botanical extracts. They owned the organic plantation based in ShannXi and JiangSu province to support production of products of high purity and advanced quality. With the strong R&D capability, the company’s lab is equipped with state of the art instruments for testing such as HPLC, UV, UPLC, TT, GC and GC-MS, ICP-MS, GC/LC-MS-MS, HPTLC and IR (identification), ELIASA, Microbiology test and etc.